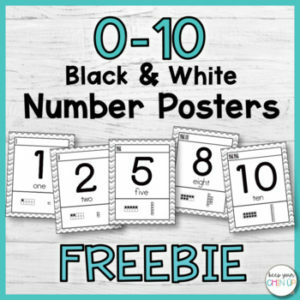 These simple black and white number posters are great visual aids to display in any primary math classroom. This freebie is a part of Black and White Number Posters 1-120. For a colorful version, check out Rainbow Number Posters 1-120.